Located at the intersection of Ky. 393 and Ky. 22 in the heart of Oldham County, Mt. 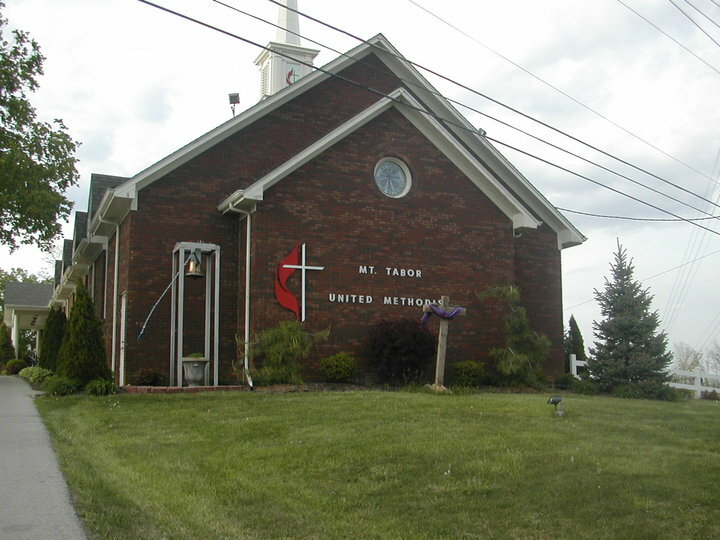 Tabor and its members have been worshiping and serving the Lord since 1835. No matter where you are on your walk with God, we invite you to make Mt. Tabor your home. April 18 Holy Thursday 7:00 p.m.
April 19 Good Friday 7:00 p.m.
April 20 Pancake Breakfast and Easter Egg Hunt 10:00 a.m.
April 21 EASTER SUNDAY CHURCH SERVICE 10:45 a.m.
Do to the kitchen remodeling the Ballardsville Fire Station is where we will be hosting our annual Pancake Breakfast and Easter Egg Hunt. Thanks to the United Methodist Men for once again agreeing to be our chefs! We hope to see everyone at the Fire department on April 20th at 10:00 a.m..